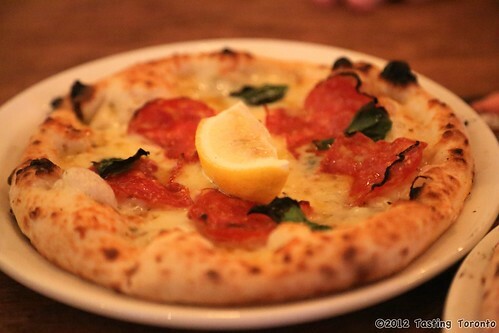 Enjoy an authentic Neapolitan pizza at Famoso Neapolitan Pizzeria. 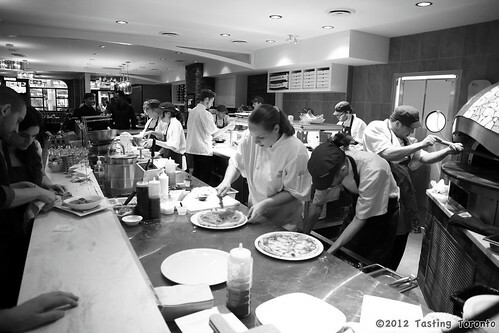 Located in the Annex, on bustling Bloor West, Famoso democratizes high calibre pizzas and gelato, serving quick and consistent fare at a reasonable price, in a warm and casual environment. 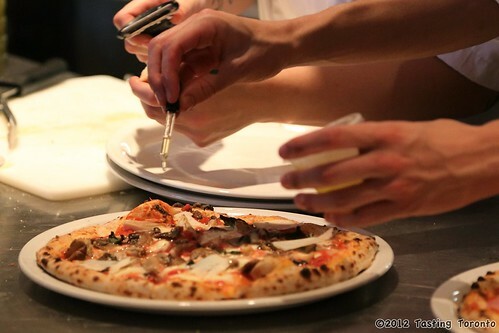 For an authentic Neapolitan Pizza you need to start with the best ingredients. Famoso uses only '00' Caputo flour to make its dough. This low gluten flour is hand stretched and tossed to create a soft and crispy thin crust. The tomatoes used in the red sauce are imported from Southern Italy's Campania region. Their low acidity and natural sweetness make a rich and satisfying base to highlight the flavours of all the other delicious toppings. The pizzas are fired for 90 seconds at 900 degrees Fahrenheit in a special oven imported from Italy, giving that blistered and supple texture that screams Neapolitan. Some purists may take issue that it's a gas and not a wood-fied oven. Though there still is something magical about burning wood, this commercial oven ensures consistency and volume, key factors in scaling up to many locations, making really good pizza within reach of more people who might not otherwise pencil in a special Neapolitan meal. A great lunch option is the Pizzetta. Half the size of the normal pizza, it leaves room for a soup, a salad, or in our case, more pizza. We started with the Margherita, the archetype of Neapolitan pizza, and enjoyed its fresh aromatic basil and creamy fior-di-latte cheese. Next up was the Quattro Formaggi Pizzetta with added Soppressata. We loved all the cheesy goodness cut by the squeeze of lemon. The addition of the crispy and flavourful slices of Soppressata is highly recommended. Incase we were missing out on the whole pizza experience, and with some room to spare, we ordered a full-sized Funghi Tartufo pizza (roasted white mushrooms, oyster mushrooms, white truffle oil, reggiano parmesan), and paired it with an Italian red wine. Mmmmmm...mushrooms! Dessert was light caffeinated Italian, a slice of Tiramisu and some affogatos (a shot of espresso on top of a scoop of gelato). We highly recommend the Salted Caramel Affogato. It certainly gives a Frappuccino a run for its money. Thanks for sharing Stace and Mark! 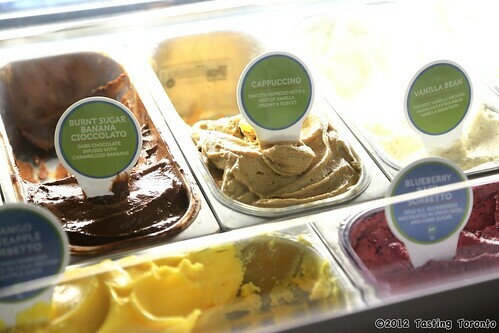 This is in my hood and now I'm craving an affogato! Wow...this place looks amazing! 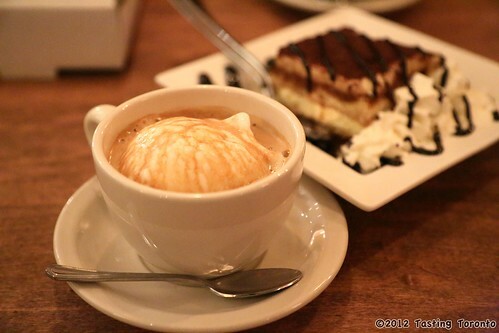 The affogato is something I really want to try now! Thanks for this wonderful post!! !